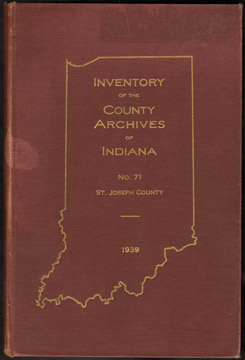 Note: This a directory of what records the county held at the time of the inventory in 1935-1936; this book does not reproduce the records themselves. It is, however, a valuable guide to the immense variety of records that are available including many that are often overlooked by researchers. This is an original 1939 printing. The covers shows some wear. Inside pages are nice and clean.